Process Analytics is a division within METTLER TOLEDO that produces analytical measurement solutions for industrial manufacturing processes. This division has over 60 years of experience as a leader in the industry of liquid process analytics and ultrapure water analytics. Process analytics allow manufacturing companies to better control their production through in-line, on-line or at-line analytical measurements. METTLER TOLEDO offers process analytical equipment for a wide range of applications, industries and analytical parameters. As industrial manufacturers look to increase automation, in-line and on-line analytical measurements that help control processes are critical. METTLER TOLEDO understands that reliable equipment is vital to in-process analytical measurement. For that reason, METTLER TOLEDO developed Intelligent Sensor Management (ISM®), a series of intelligent, digital analytical sensors that bring predictive diagnostics and other valuable features to process analytics. 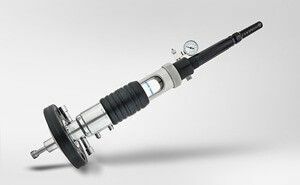 ISM technology provides advanced sensor diagnostic tools such as the Dynamic Lifetime Indicator (DLI). The DLI uses an algorithm that constantly monitors process conditions and sensor performance, to calculate remaining sensor life. This reduces the potential for sensor failure during a process or batch and leads to reliable, consistent process control. METTLER TOLEDO's portfolio of analytical parameters for process analytics of liquids includes: pH, ORP (redox), dissolved oxygen (O2), dissolved CO2, turbidity, conductivity/resistivity, dissolved ozone (O3), total organic carbon (TOC), microbial contamination, sodium ionic contamination, silica concentration, chloride and sulfate analysis. METTLER TOLEDO Ingold had its original success with the development of the combination glass pH electrode by Dr. Werner Ingold. This invention simplified the way that the world measured pH. In the years since, METTLER TOLEDO Process Analytics has continued to grow its portfolio of in-process analytical equipment in both analytical parameters and measurement technology. Measurement of pH and dissolved oxygen in biopharmaceutical and biotech fermentation processes. Measurement of conductivity and pH in a range of chemical applications. Measurement of turbidity, CO2 and O2 in beer production. Continued innovation is critical to driving improvements in production at users of process analytics equipment, and METTLER TOLEDO continues to innovate in the field of liquid analytical solutions. 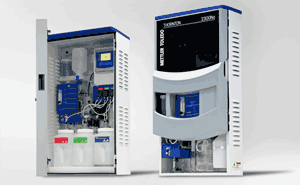 METTLER TOLEDO Thornton is the leader in pure and ultrapure industrial water monitoring instrumentation used in pharmaceutical, biotech, semiconductor, microelectronics and power generation applications. Its core competence is the on-line measurement of conductivity, resistivity, TOC, dissolved oxygen and ozone in determining and controlling water purity. METTLER TOLEDO continues to innovate unique pure water analyzers for pure and ultrapure water analytics. 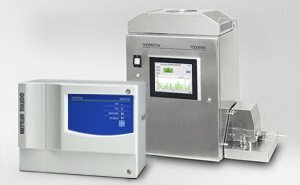 One such example is a package of analyzers designed for power plant cycle chemistry that includes a sodium ion analyzer and silica analyzer, plus a chloride and sulfate ion analyzer that uses microfluidic capillary electrophoresis technology. METTLER TOLEDO also launched the first-of-its-kind microbial detection system. This at-line analyzer is designed to complement and replace cell-culture testing as a method to identify microbial contamination in pharmaceutical waters. 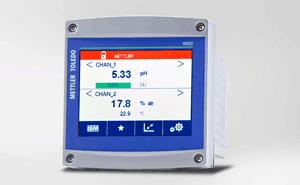 In addition to liquid process analytics, METTLER TOLEDO also offers a portfolio of sensors for gas analytics. The unique probe-style design of the GPro 500 Tunable Diode Laser (TDL) gas analyzer eliminates one of the most common installation challenges in TDL gas analytics systems, sensor alignment. 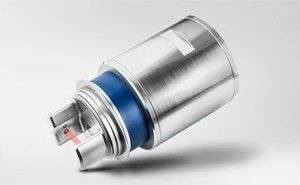 The GPro 500 sensors can be installed in situ, eliminating maintenance prone extraction systems. METTLER TOLEDO's portfolio of gases that can be analyzed continues to expand, and includes carbon dioxide (CO2), carbon monoxide (CO), hydrogen chloride (HCl), hydrogen sulfide (H2S), oxygen (O2) and moisture (H2O). They are reliable, low maintenance measurement solutions for process analytics applications related to safety, combustion and vapor recovery. 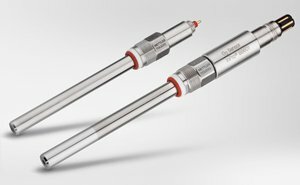 Reliable and robust in-line pH probes ensures reliable pH measurement in every application - from harsh chemical environments to hygienic pharmaceutical processes. In-line dissolved oxygen, CO₂ and ozone sensors provide accurate information for process and water control at highest performance and with minimal maintenance. Conductivity sensor with the highest accuracy and lowest maintenance. 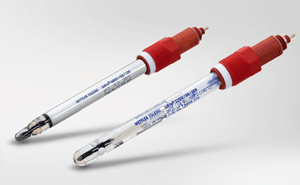 Suitable for measurements in water purification, and chemical and pharmaceutical processes. Real-time system delivers instantaneous detection of microbial contamination. 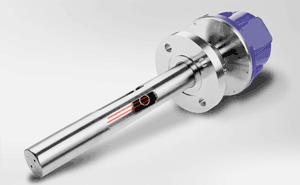 TOC instrumentation provides fast, continuous measurement of ppb-level organic contamination. TDL gas analyzers are exceptionally easy to install and require almost no maintenance while amperometric oxygen sensors assure reliable, real-time measurement. Our product portfolio features a wide range of hygienic and sterilizable/autoclavable measurement solutions for biotech and hygienic processes. pH measurement and control is vital in a wide range of processes across the pharmaceutical, chemical, and food and beverage industries. But what exactly is pH, why is it so important, and how do pH sensors work? Our Guide to pH Measurement has all the answers. Production and monitoring equipment for pure waters in the pharmaceutical industry requires careful design, operation, and control. Our guide to pharmaceutical waters production covers vital topics including water purification technologies, critical measurements, and global pharmacopeia regulations.